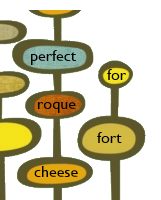 perfect for roquefort cheese: i don’t care—do you? 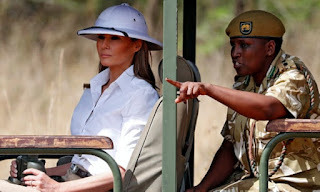 As a gesture of goodwill after her husband vulgarly disparaged the continent as an undesirable source for immigration, former fashion model Melania Trump seemed to once again forget about the power of optics, donning jodhpurs and a pith helmet for her (thankfully) photographic safari at a nature reserve in Kenya. Who has such things in their wardrobe? The nineteenth century headgear has been all but abandoned for more sensible cover, owning to the fact that most visitors do not want to project antiquated colonial attitudes and willingness to bear the burden of leading the world toward civilisation.